On the 5th and 6th March, Liam Dine and Sarah Orton attended a New Zealand Association of Resource Management (NZARM) workshop in the East Coast region. This workshop was the first of it’s kind to be run by the NZARM, and its purpose was to enhance collaboration and idea sharing between resource managers, whilst examining some real-world scenarios in the field. 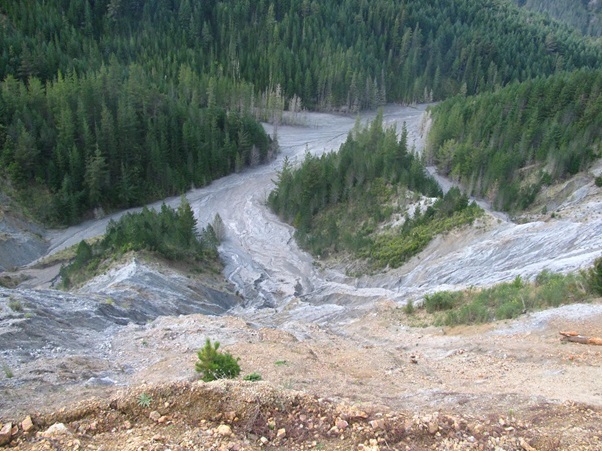 The first stop was the Nuhaka Slip, located East and North of Wairoa. The group was given background information on the slip, and land use history, and asked to come up with suggestions to help stabilise the area. 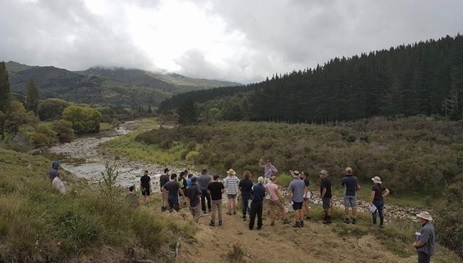 From there the group worked its way northwards towards Gisborne, stopping along the way to talk about NES Yellow and Red ESC Zones in the Whareratas, and to look at a flood retention dam at Muriawai. We ended the day with some presentations at the Gisborne District Council Office, as well as a session on how to better collaborate and communicate. Day two of the Workshop saw the group travelling around the countryside, looking at timber dams, and small-scale bank protection in the Kanakanaia Valley, cultivation, graded banks and pole planting on Rangatira Station, and conservation forestry, more examples of pole planting, and logging in the Mangatu Forest area. The trip ended with a visit to the impressive Tarndale Slip (not for the faint hearted). The workshop provided a valuable insight into the ways Council Land Management Officers think and act. There was a real acknowledgement by all attendees that information and skill sharing is vitally important, in terms of upskilling people, and to make the best decisions for the land we manage and care for. PF Olsen looks forward to collaborating further with the NZARM and it’s members.